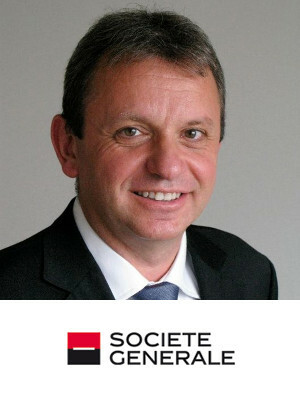 Allan has worked at Societe Generale for eight years and has been involved in the power sector for more than 30 years, initially as an engineer and then in finance. During his career he has advised on and/or financed power projects in Europe, MENA, the US and Asia, and in sectors ranging from green-field renewable energy, through gas and coal, to the acquisition of large international power portfolios. Allan has extensive experience in the clean energy sector, including recently taking a leading role in the offshore wind sector. Most recently he has acted as Financial Advisor to a floating wind project, Dudgeon (400MW) and London Array (630MW) in the UK and the successful Borssele III&IV bid (700MW) in the Netherlands. He also advised an Asian client on the successful acquisition of an equity stake in a 900MW offshore wind development in Europe. In addition to his advisory assignments, Allan has been involved in arranging debt for several EUR1bn+ offshore wind projects in Europe. In the wider clean energy sector, Allan has also played a leading role in carbon capture & storage field having advised on White Rose, Teesside Industrial CCS and Donn Valley projects in the UK, as well as serving on the UK Government’s original CCS Forum and leading the commercial section of the CCS Cost Reduction Task Force. Allan has a BSc (Hons) in Mechanical Engineering, an MBA, is a Fellow of the Institution of Mechanical Engineers and a Chartered Engineer.